A water exercise program is also offered at the Reba McEntire® Center for Rehabilitation. 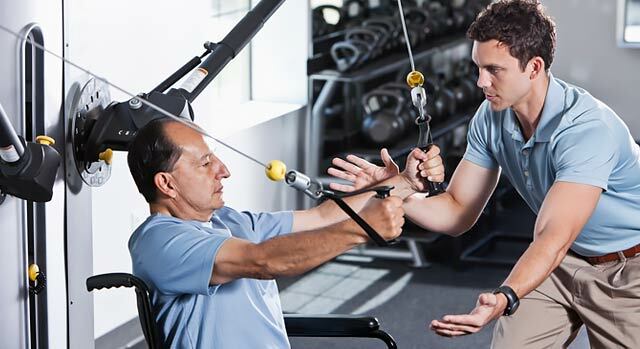 Participants must meet with our exercise specialist prior to participation. Call 903-416-1233 to schedule an evaluation. A class schedule will be provided to you at the time of your appointment. Monday-Friday, 6:30 a.m. – 6 p.m. The Wellness Program costs $20 per month or $45 for three months per individual (fees can be a payroll deduction for TMC employees). The first month's fee includes an initial assessment with an exercise specialist. No contract is required. Services are not billable to insurance. Participants do not have to be a former patient. A medical release may be required from your physician.